30 1/8 by 22 1/8 in. 76.5 by 56.2 cm. Mitchell-Innes & Nash is delighted to announce its representation of the work of Nancy Graves through The Nancy Graves Foundation. The gallery’s first Graves exhibition focuses on works depicting flora and fauna in media ranging from gouache and watercolor on paper, to painting, to bronze polychromed sculpture. 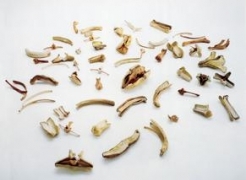 The show presents work from the 1970s to the 1990s, and is on view from May 20 through June 27, 2014. 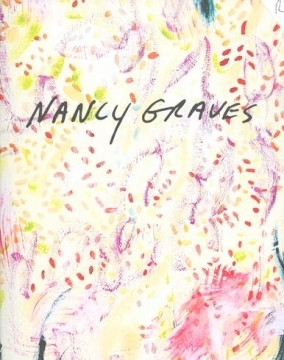 Titled Nancy Graves, the exhibition is inspired by both the visual representation of natural phenomena and the formal values of abstract art that are widely present in Graves’ work. 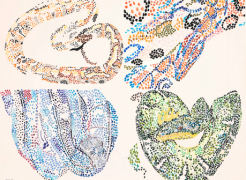 In the early 1970s, Graves began making detailed gouache works on paper of animals such as fish, snakes, and frogs, taking a scientific approach to representation. 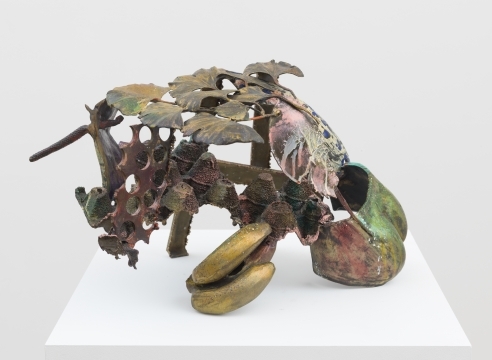 Among the works included in the exhibition at Mitchell-Innes & Nash are The Metamorphosis of the Frog (1971) and Four Snakes (1971). Also on view is Photographs of a Jumping Frog at 1/40 Second (1971), a drawing influenced by Eadweard Muybridge’s motion photography, showing the successive movement of a frog leaping. 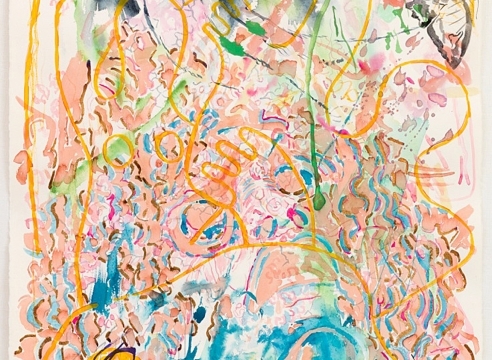 In the 1980s, Graves’ portrayal of nature and animals took on more abstract form, with watercolor works on paper such as Motion of Caterpillars (1988) and Tragedy Among Butterflies (1988). 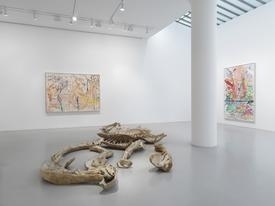 Also included in the exhibition are Swen (1983) and Uplift (1986), sculptures that are painted with colorful patinas that reflect the brilliant tones of her paintings, watercolors and prints, and were directly connected to the real world by the found objects and casts of natural and man-made forms.